Travel Scheduling - Merrow Sewing Machine Co.
At the recommendation of onebag.com I bought a redoxx bag. 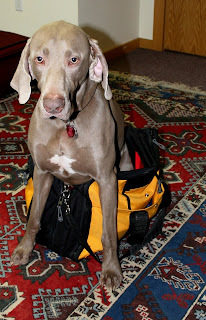 I can almost fit the weimaraner in it.... awesome bag for carry on. In the US and Europe I use Eating around the world and Zagats. Everywhere else I depend on a local recommendation. There are more... I'll filter through the bookmarks and see what else has been useful. 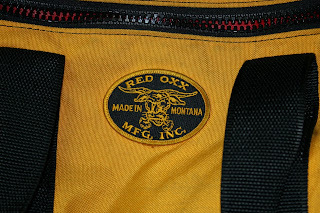 NOTE: the emblem on the redoxx bag is a Merrow edged emblem.